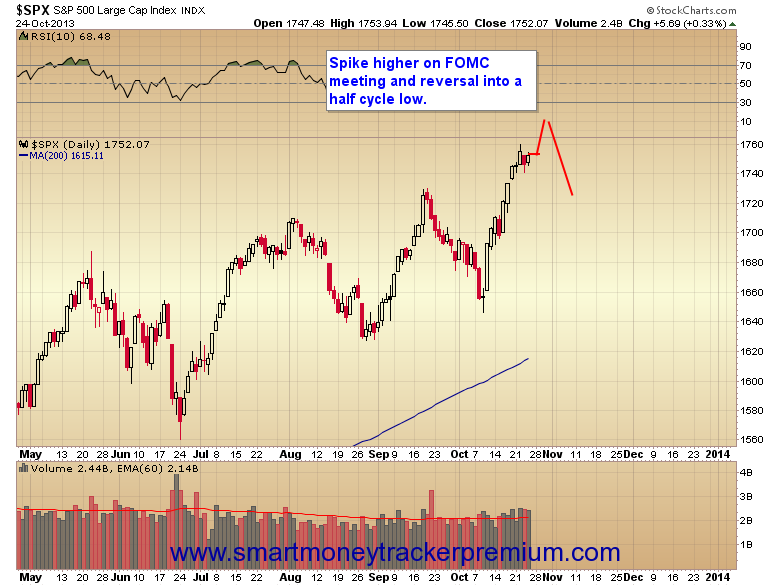 My best guess continues to be that stocks will extend this consolidation on Friday and then deliver one more push higher into the FOMC meeting next week. I expect the Fed will confirm no tapering, which will likely trigger a big rally and probably reversal as smart money traders sell into the emotional move. Barring an immediate Fed intervention, that should give us the drop down into the half cycle low. At that point you could enter long positions and use the half cycle low as your stop. We should be coming down to the final few days in this yearly cycle decline. 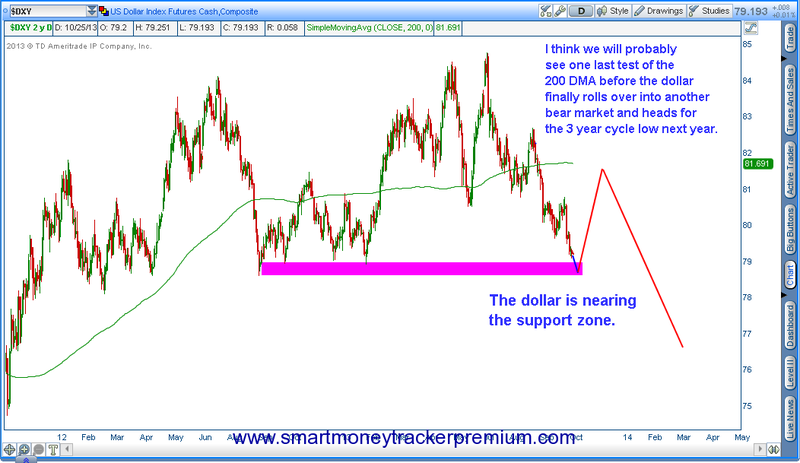 As you can see in the following chart the dollar is rapidly approaching that major support zone we have talked about between 78.90 and 78.60. Most bear markets will make one final test of the 200-day moving average before really starting to accelerate to the downside. I think this is probably what is in store for the dollar index over the next four to six weeks. That is, a final counter trend move back up to test the underside of the 200-day moving average along with a resurgence of taper talk as traders try to rationalize some reason for the rally.